This, being the introductory bread post we’ll start off with a Direct Dough bread meaning bread with a single mixing cycle and one that will be done in a few hours from start to finish. 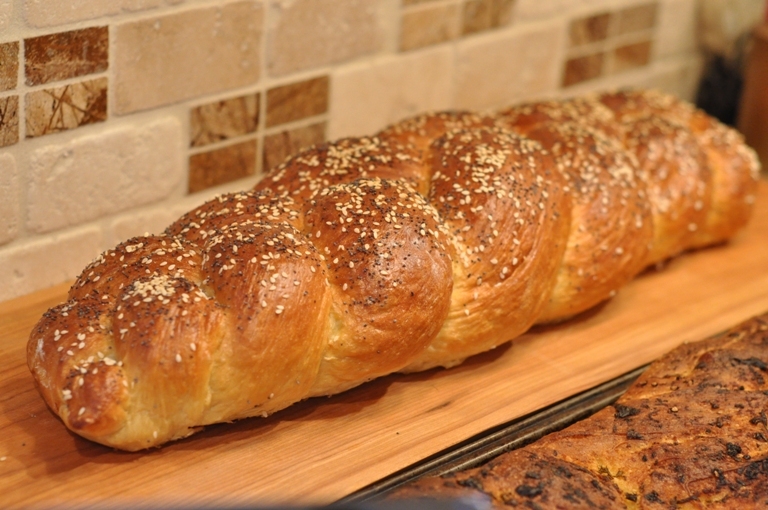 Challahs versatility(from sandwiches to french toast) and its distinct look has quickly made this our everyday bread. So let’s get started. The recipe that follows is taken from Peter Reinharts, The Bread Baker’s Apprentice. If you only get one bread book this would be my pick. It’s comprehensive, but will have you baking amazing bread in no time. So here’s the recipe. Stir together flour, sugar, salt, and yeast in a large mixing bowl. For this recipe I prefer to substitute the sugar for chestnut honey. If doing so combine the honey with the other wet ingredients. In a small saucepan combine the oil, (I use olive oil) two eggs plus two yolks reserving the whites for later, water and 2 tbsp honey if using. Whisk over medium heat until luke warm(90-100 degrees F). This will help kickstart the yeast. Pour the egg mixture into the flour mixture. Mix to form a ball. Add a small amount of extra water if needed. Transfer dough to a lightly floured surface and knead for about 10 mins(or 6 minutes in a mixer, but that’s cheating). You want the dough to be soft and slightly tacky but not sticking to your hands. That’s why it says 10 minutes damnit! Lightly oil a large bowl(spray oil works great for this). Form your dough into a ball using the edges of your hands to pinch the dough together on the underside of the ball, creating surface tension on the top(hope that made sense). Place the dough in the bowl,rolling it to coat with oil. 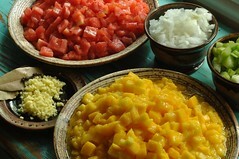 Cover the bowl with plastic wrap and ferment at room temperature for 1 hour. Remove the dough from the bowl and knead for 2 minutes(Ahh that’s more like it!) 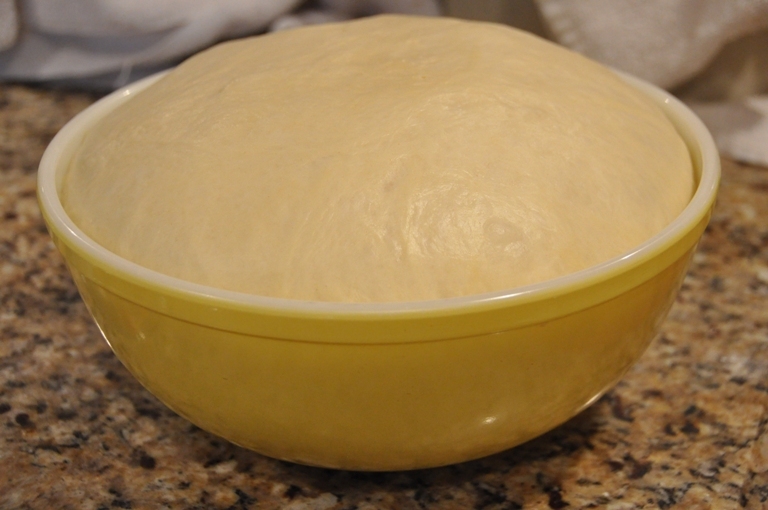 Re-form the dough into a ball and return to the bowl, cover with plastic wrap and ferment for another hour. The dough should be at least 1 1/2 times its original size. Remove the dough and divide into 3 equal pieces(this is where a scale comes in handy). Form each piece into a ball and leave to rest on the counter for 10 mins covering with a towel. Roll out the pieces into strands about 14 inches long, thicker in the middle and slightly tapered towards the ends. Braid the strands(guys get a woman to help). I like to work from the middle towards myself and then in reverse to complete the other half(shaping methods are described in detail in the book). 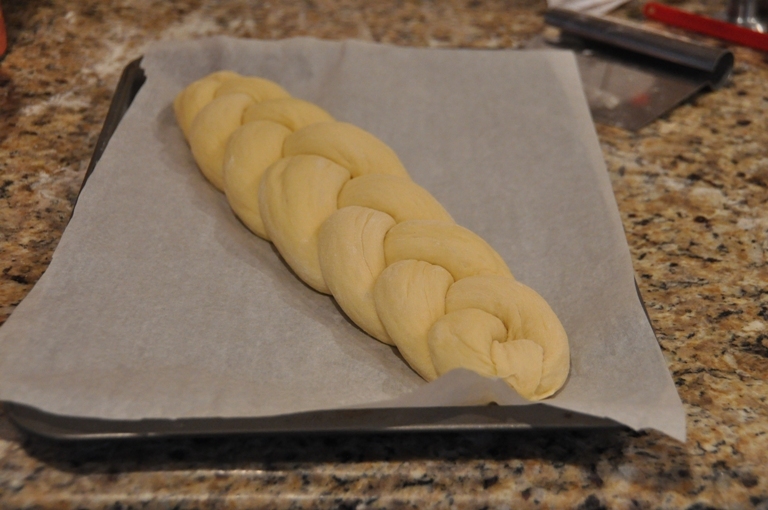 Transfer the braided loaf to a baking sheet lined with parchment paper. Whisk together the two egg whites until frothy. Brush the loaf with the egg whites then mist with spray oil. Cover with plastic wrap and proof at room temperature for 60-75 minutes(baking bread aint for short attention spans). Preheat oven to 350 F. Brush loaf again with egg wash then sprinkle with sesame or poppy seeds(I use both). Bake on the pan for 30-45 minutes. The bread should be a rich golden brown and register 190F in the centre. When done, trnsfer the loaf to a rack to cool for an hour before slicing (good luck!). Challah is one of my favorites. Thanks for posting a recipe. I love making french toast with this type of bread. Soaks up all the goodness. This looks awesome. I bet it tastes so good right out of the oven. Do you have to use bread flour? Can you use all-purpose flour? You could use all purpose flour but it really is worth getting bread flour for this recipe. 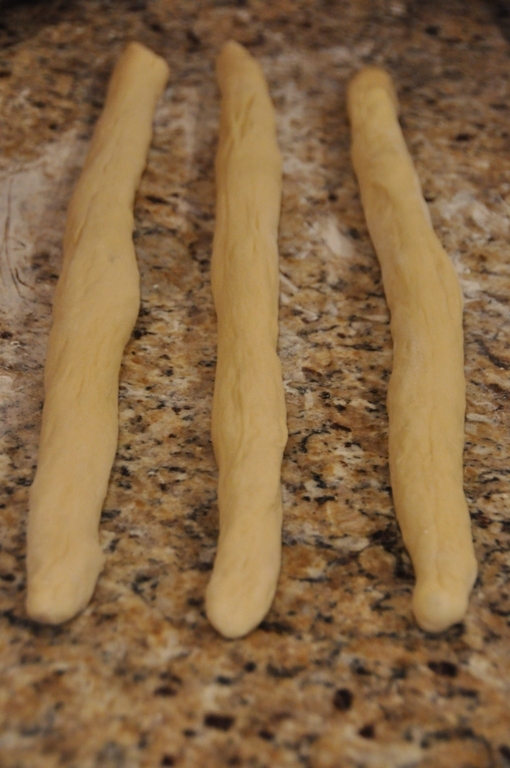 The bread flour will help in forming the braids because of the higher gluten content. It will give a nicer finished product. Looks fabulous as alwasy! Wish I was having another piece today!!!! Have fun!!!!!!!!! !